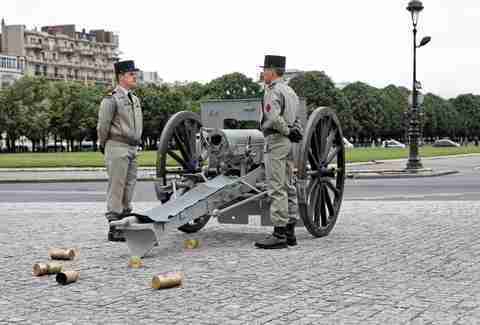 In 2012, divers discovered an artillery shell dating from an 1870 battle, in the area by the Samaritaine department store. It was not the first, nor will it be the last, weapon to be pulled from the river. Around a dozen or so shells or bits of ammunition are pulled from the river each year, including artifacts from both world wars. We all have that image of some slithering creature creeping into our houses through the toilet. 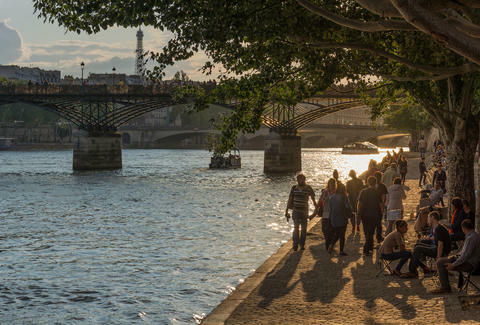 In 1984, a crocodile almost did just that: spotted crawling around the Pont Neuf, a Nile crocodile was eventually found in the warm, food-rich sewers nearby. Authorities captured the creature, which fortunately found a home in a French aquarium. No, not the kind from Zelda: these gold-and-garnet bees, which date to about the fifth century, were among five hundred originally found in a Merovingian tomb that was uncovered by a stonemason in 1653. They were passed among the royals, given to the Sun King, and housed in the Louvre and the National Library, until they were stolen in the 19th century. Eventually, the police fished just two of these storied bees from the river... which means that there are likely a lot more waiting to be found. Arthur Forgeais, a famous collector and antique seller, was known for finding all sorts of objects in and around the Seine throughout the second half of the 19th century. One of his most famous discoveries happened in 1862: a Gallic boat at the tip of the Île de la Cité. Dating back to the earliest Parisians, the artifact was quite the find for the time... so much so that Forgeais offered it to the Empress of France. 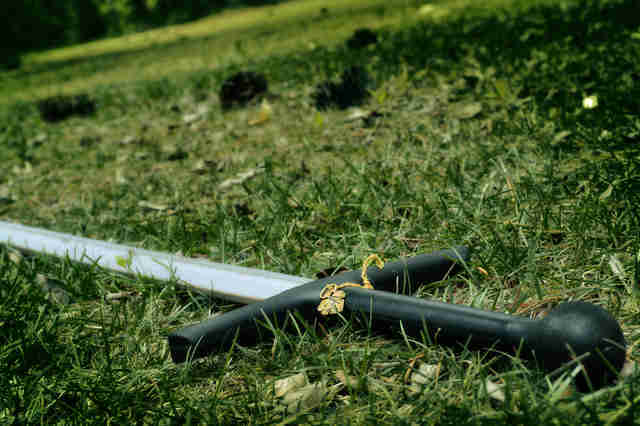 Further evidence that Vikings spread through Paris, this 10th-century sword was found when the river was dredged, and looks no less intimidating now than it did then. The crocodile wasn’t the only surprise creature lurking in the water. 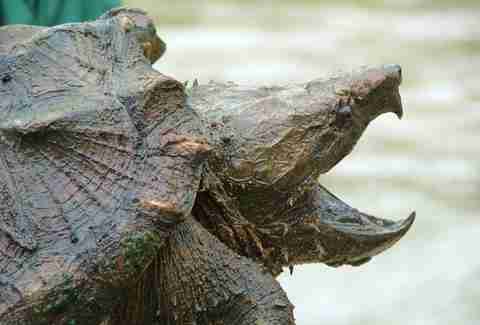 In 2009, a snapping turtle from North America was found floating along the Seine. 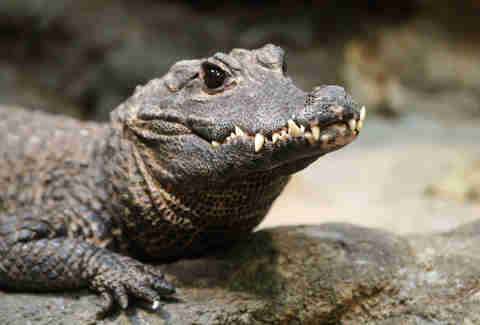 Police determined that, much like the crocodile, the animal must have been abandoned by a collector who didn’t realize what they were doing. Not all animals were so lucky. 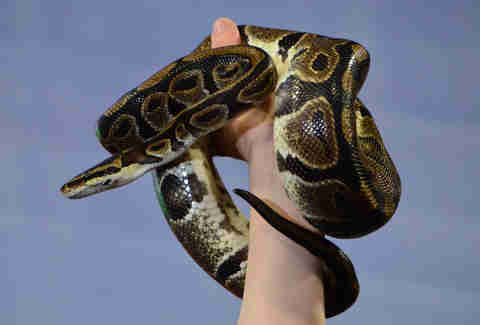 One of the most famous finds occurred in 2012, when the police found a python floating in the river -- without its head. Weighing around 40kg and measuring 3m long, the headless snake made headlines in Paris... and we’re all secretly thankful that it was dead before being thrown into the river. The head never surfaced. No, not macarons. 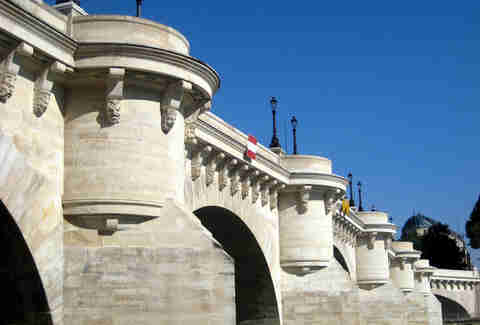 We’re not talking about Ladurée here: mascaroons are sculpted faces, like masks, that figure prominently on the Pont Neuf, Paris’s oldest existing bridge. A diver from the river police discovered this fallen mascaroon in 2014, although it probably dated from the 1600s, when the bridge was built. Talk about a lucky find. It’s not all useless junk and cadavers down there: two early 20th-century bronze busts were stolen from a private collector in 2000, while she was in the hospital. The owner thought she would never see the works again... until members of the river police, on a routine training session, came across the sculptures at the bottom of the Seine in 2012.